Here is a man who has always inspired me. His life story is an inspiration to countless LGBTQ (including me ) who live in a country where being gay can be a social death sentence . A lot of new developments in the meanwhile. 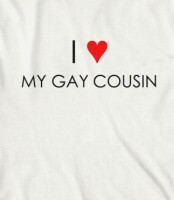 I came out to a cousin recently and it turns out he is GAY TOO ! I mean what are the odds of that ?! It was a real relief to have someone understand in my own family. He introduced us to his boyfriend who is such a sweetheart! And Rhys and my cousin just hit it off like long lost friends … It’s uncanny how Rhys always gets along so well with all my friends – One of my best Buds actually prefers to call up Rhys coz apparently I never answer calls or reply to texts ! Anyways my cousin and his Boyfriend have been insisting that we visit them sometime soon but with our exams coming up, there is just no time. And after the exams, I shall be going home while Rhys plans on a trip with his school buds. Wish we could take a trip together like last year but that seems unlikely this year …… Sigh…. So now I am trying to convince my cousin to visit us here . I really hope he does coz I so wanna hang out with him. Anyways I better get back to studying !